Why invest in cordless phones for your office? 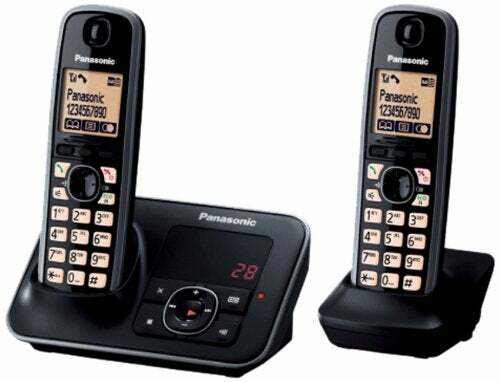 The cordless phone systems of today offer excellent sound quality and all the features of a tethered phone, but without the physical limits of a cord. So the question should really be ‘why wouldn’t you invest in a cordless phone’? Hotdesking? No problem. A cordless phone can go wherever you go. Whether that means pacing up and down the office aisle, making a cup of tea or working on-site. 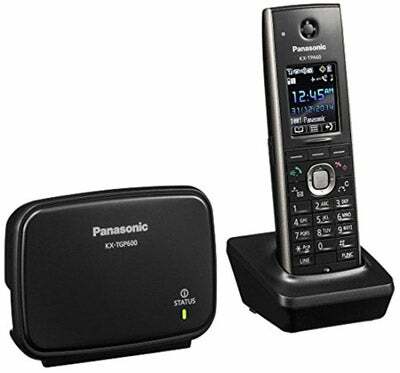 The best cordless phones in 2018 are made by a handful of major phone hardware manufacturers, including Siemens, Panasonic and Yealink. Below we’ve provided a concise round-up to the best and most popular cordless ranges and models for business and office use. In a hurry? Fill in this quick form now to receive tailored quotes from leading suppliers, leaving you to choose the one that’s right for your business. Your mobile doesn’t look like it’s straight out of the ’90s, so why should your landline? Enter, the Siemens Gigaset SL910A – a phone that looks great, and delivers quality calls. 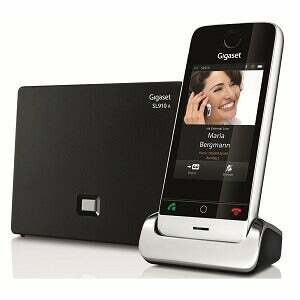 Customers agree that the Gigaset SL910A is really worth investing in. Yes, it costs a bit more than other models, but it’s worth it for a product that looks great and performs to such a high standard. Price: £129.99. 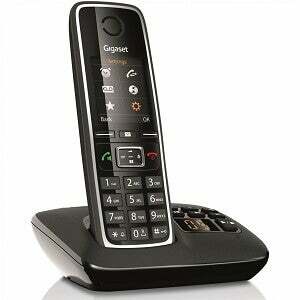 The Siemens Gigaset C595 is a robust and affordable model. It’s ideal for businesses after a no-frills cordless office phone solution. 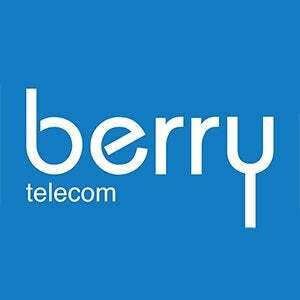 It uses energy-saving Eco DECT technology, meaning its running costs are much less than a conventional phone. Price: £39.99. Panasonic have a long history of manufacturing high quality handsets. Their current KX series, including the KX-TG 6822, is a collection of some of the best compact DECT solutions around. With capacity for up to four handsets, this is a quality phone that will benefit smaller businesses. The ability to reduce background noise by up to 75% at the touch of a button makes it ideally suited to noisier environments, such as site offices. Price: £49.99. 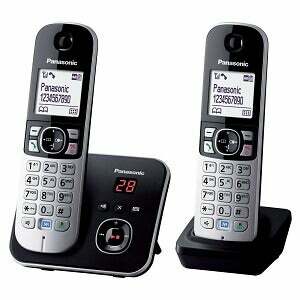 This Panasonic cordless phone is the KX-TG6622EB, which is the upgraded version of the popular 6522 model. This cordless phone is designed for the budget-conscious, with twin handsets starting at just £49.99. Here’s a no-frills cordless phone that’s easy on the wallet and even easier to set up – win win. Price:£49.99. One of the DECT cordless phone options specified by top VoIP provider 8×8, the KX TGP600 is ideal for small to medium-sized businesses. Each base can connect to up to eight separate, non-blocking handsets meaning that it can also handle eight different calls simultaneously. Eco mode, noise reduction and the capacity for up to eight handsets makes this a win win solution for any office environment. Price: £83.25. This new series from Panasonic is specified as standard by reputable phone system providers such as NFON. The range features three models: the UDT111 is a standard office DECT handset; the UDT121 is a slim and light-weight version; while the UDT131 is a toughened model suitable for more rugged work environments. 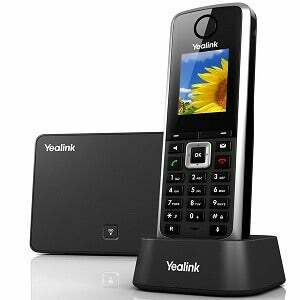 This is a versatile yet simple DECT business phone, that will add most value in non-office settings due to its hardy design. Price: £305.42. 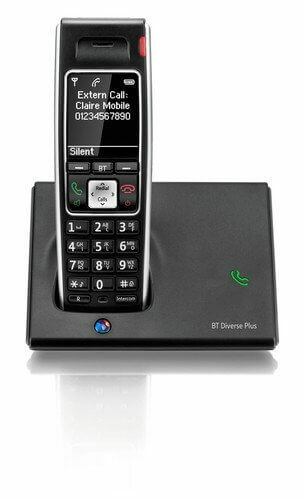 The 7410 Plus is one of three top of the range cordless phones in the new BT Diverse series. In total up to five handsets can be registered to the BT Diverse 7410.BT is the largest UK provider of fixed-line, mobile and broadband services in the UK. Their Diverse series showcases their ability to pack a lot into one very affordable model. Price: £38.00. Recommended by RingCentral, 3CX and 8×8, amongst other top VoIP providers, for use with their phone system services, the W25P is a wireless DECT SIP handset for small businesses. This cost saving and scalable device combines the benefits of cordless communication with rich wideband VoIP telephony. Price: £72.00. The 5603 is ideal for users with basic demands but intensive calling demands. It has a long battery life, as well as all the usual features you would expect from a business phone. 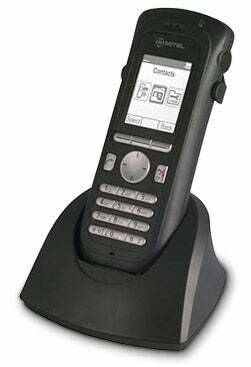 The Mitel MiVoice 5603 IP-DECT provides high audio quality and the benefits of SIP functionality.Price: £113.00. There are many excellent cordless office phones on the market, but at the end of the day the best phone for your business will depend on your specific requirements. That’s why it can pay to get a variety of quotes, so you have some options to compare side by side. Expert Market work with a number of trusted suppliers. We have a proven track record of saving customers money through our quote service. Fill in this quick form now to get yours. 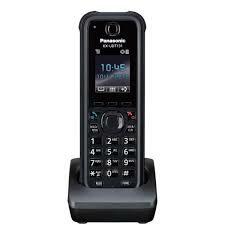 DECT stands for Digital Enhanced Cordless Technology. It’s a European standard of cordless phone technology. There’s no need to know the ins and outs of the science behind it, but just know that it meant a turning point for cordless systems. It’s the reason we can experience the same call quality on cordless handsets as on traditional ones. Cordless office phones typically have a range of 50 metres indoors and up to 300 metres in an open space, depending on the model. You can easily get a booster unit to increase this distance. They usually have a battery life of around 12 hours when in use and up to two hundred hours when on standby. The handset will automatically recharge each time it’s replaced onto its base unit cradle. How much do cordless phones cost? 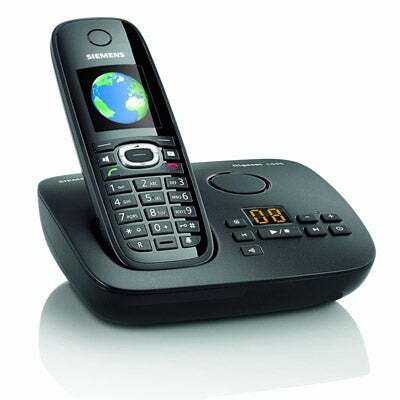 Cordless office phone handsets can start from as little as £30, and can cost over £100 for the most advanced models. The more expensive handsets will generally offer more features, longer battery life, increased range and better quality calls. The overall cost will very much depend on the number of people using the system and how many handsets they need. Small business owners or home office workers should ensure they understand the differences between available phone systems. If you want to expand your system as the business grows, DECT cordless phone systems are easy to add to by simply purchasing additional base stations and handsets as required.